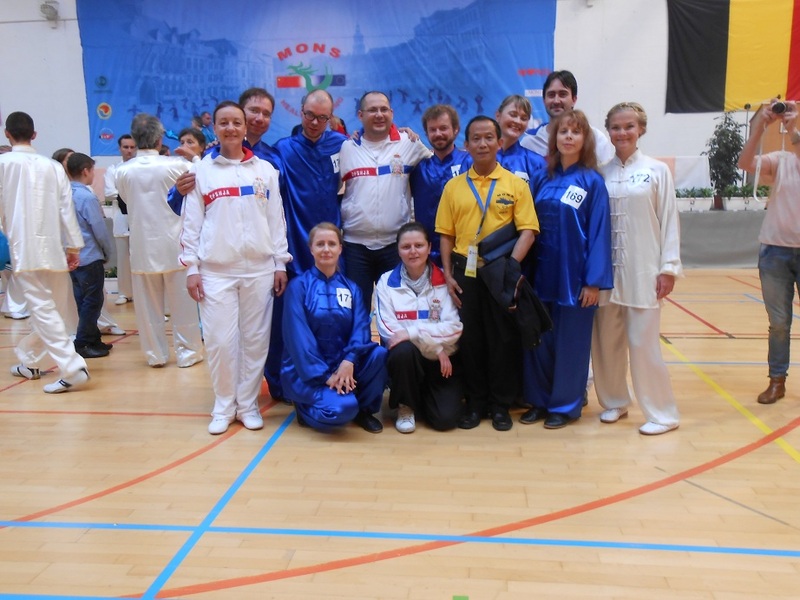 Suomen Wushu-liitto : Uutisia: Finnish team at the 1st European Health Qigong Games Mons, Belgium, July 2014. 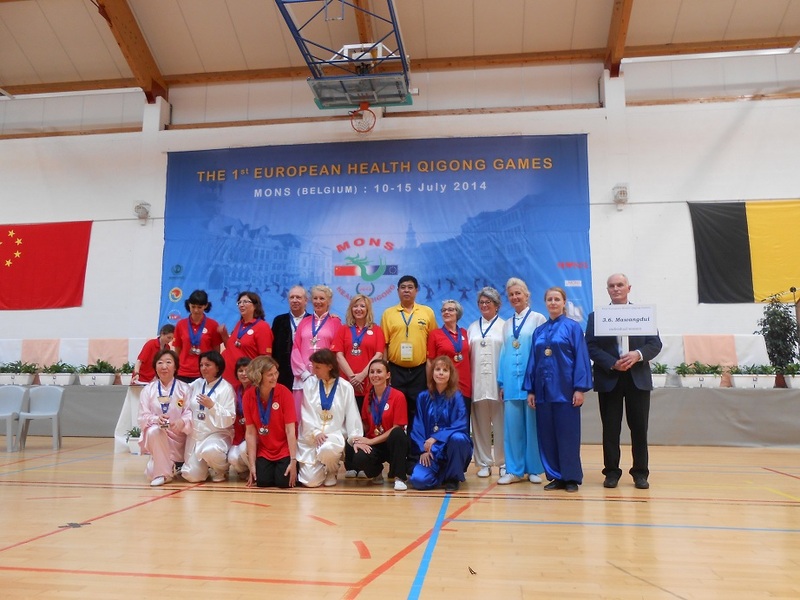 Finnish team at the 1st European Health Qigong Games Mons, Belgium, July 2014. From left. Heikki Pesu, Jaana Meriläinen, Minna Toikka, Pasi Pirhonen, Zhang Fang, Taina Pääkkönen, Satu Herno, Aki Korhonen. Hillevi Meriläinen took a lot of pictures. Our team arrived via different routes to the city of Mons at Wed 9.7. The weather was rainy and pleasantly cool for Finnish people. 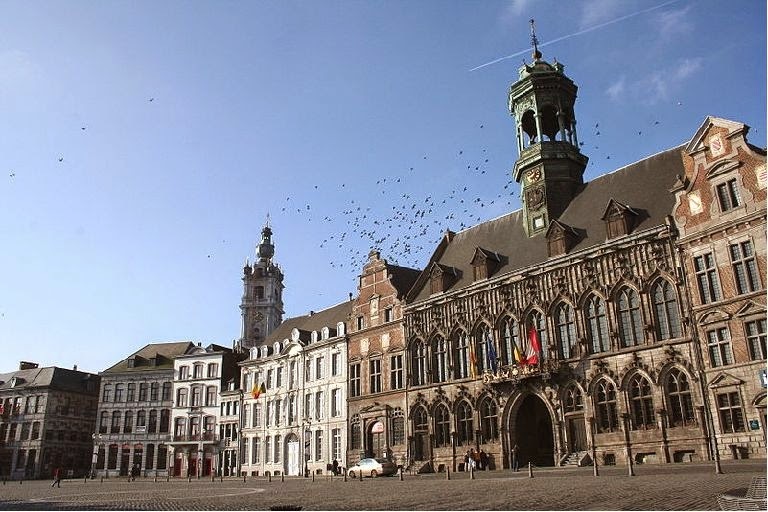 The Mons is a lovely medieval city located in the South of Burssels at a distance of 70 km. It is the capital of the Hainaut province. It will be the European capital of culture in 2015. All the teams were scattered to different hotels wich was maybe not the most optional choice since the international interaction was more sparse compared to all the teams staying in the same place. The Finnish team was in the Hotel Ibis near the railwaystation. 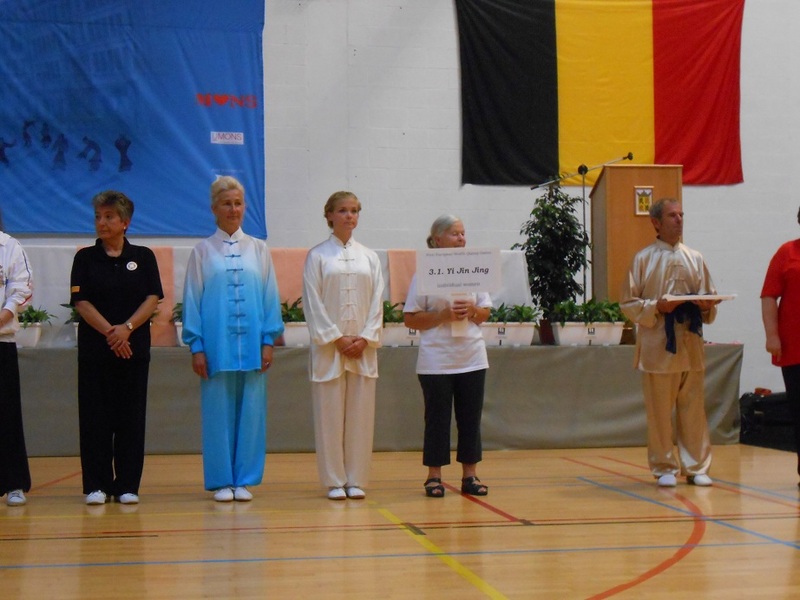 Pierre De Keukalere, the president of the Belgian Health Qigong Federation, and his team had done excellent work organizing the event. There were clear and precise instructions how to register, book hotels, arrive to Mons etc. beforehand via webpage and e-mails. Also everything run smoothly during the whole event. Special thanks to Clementine De Keukalere, who was always there to help and also did a great performance in the competition! Please look for the whole program here. 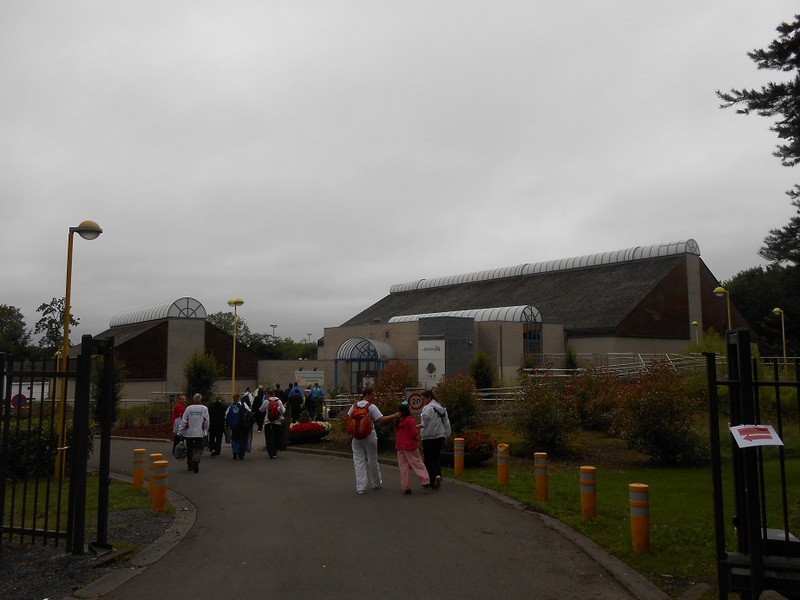 At Thursday morning we went by bus to the University of Mons where the European Health Qigong Forum was held. The forum was dedicated to dialogue of western and Chinese traditional medicine. And the speakers were Chinese and western profesionals of health care and medicine. Pierre De Keukalere opening the Forum with Lei Bin at the University of Mons. We also had the first time whole team together and had a rehearsal of the routines. At Friday was a judge course organized and among the participitants ten judges were selected to be judges at the competition. 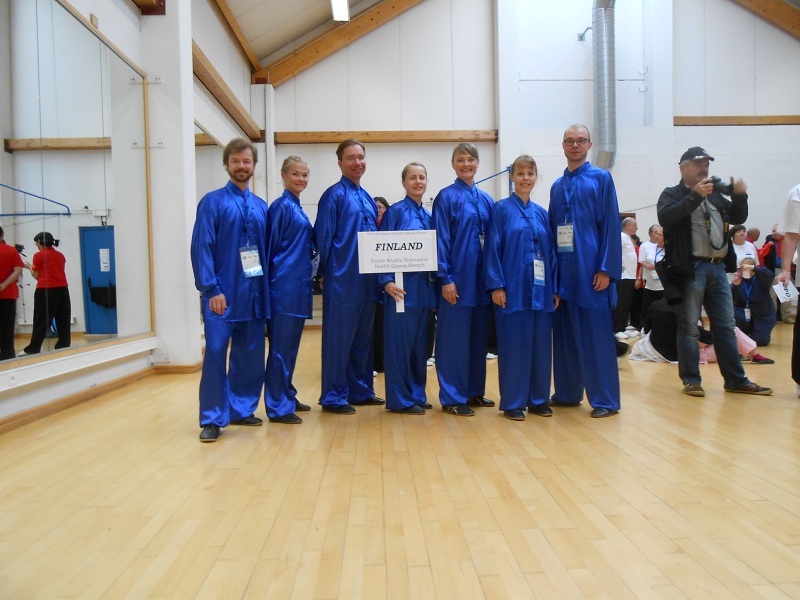 From Finnish team at course were Zhang Fang, Jaana Meriläinen and Aki Korhonen. Zhang Fang was elected to be a technical judge. 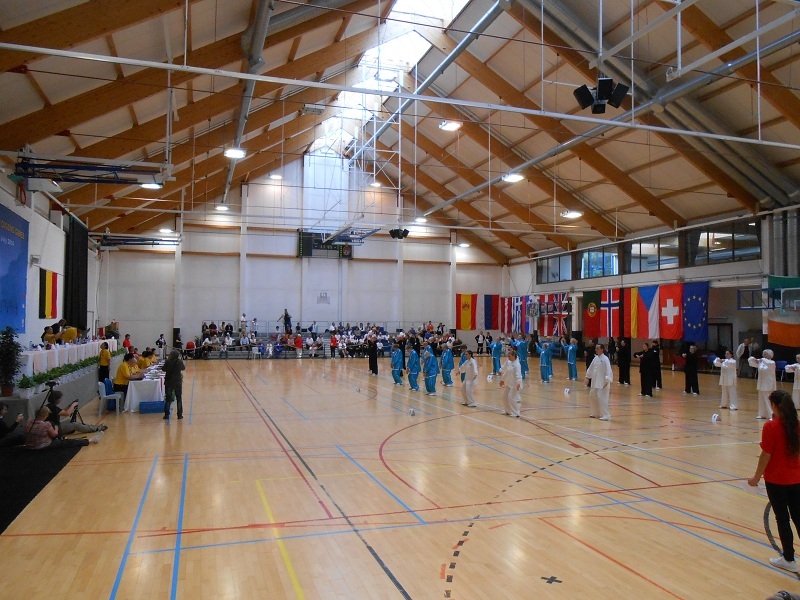 At Saturday the competiton started with solemn seremonies. There were marches of the competitiors and judges and speecehs. 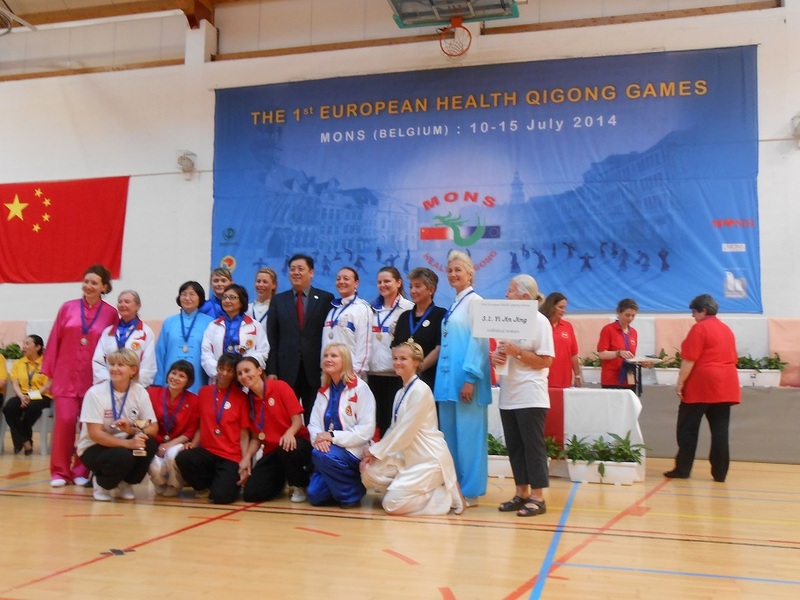 There were representatives from the Mons city officials and Chinese Ambassador. At Saturday were group events. 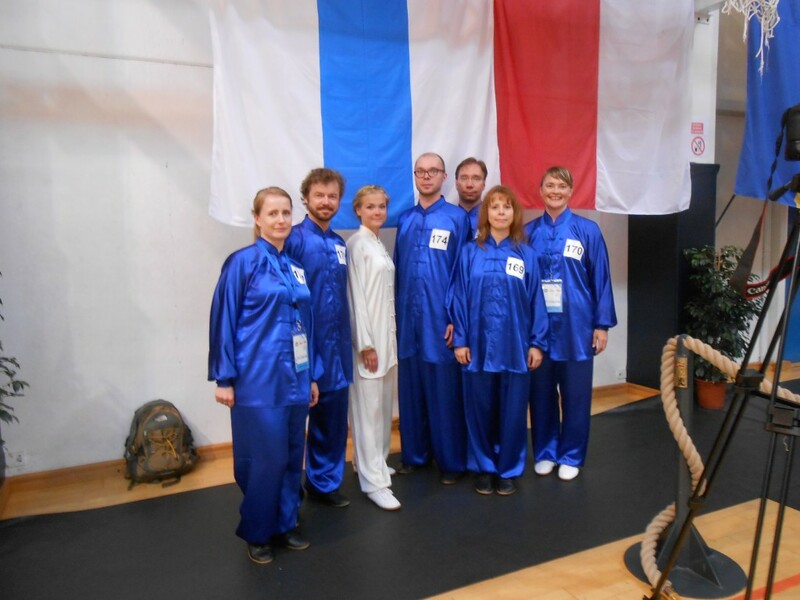 Finnish team participitated in Wu Qin Xi and Ma Wang Dui Dao Yin Shu. We won both competitions. The general atmosphere was great. Everybody was appreciating all the teams! 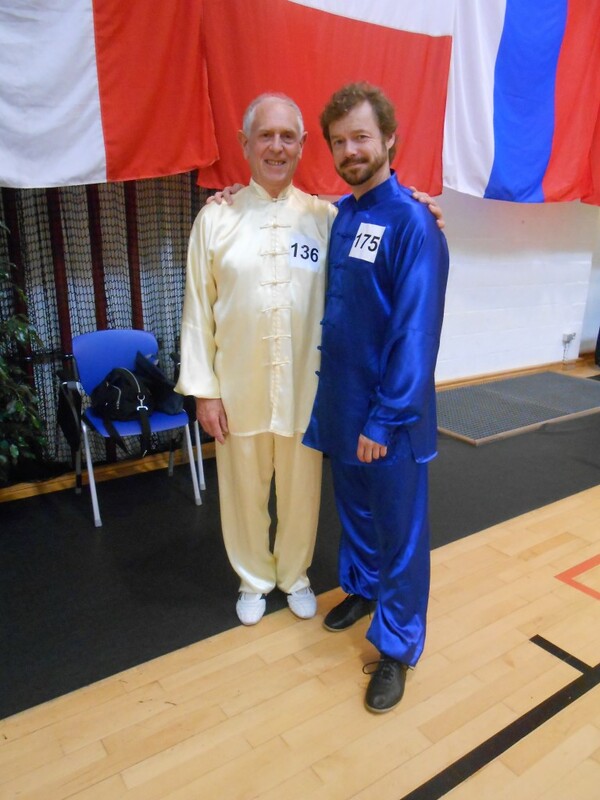 Competition was a great experience, thanks for the organizers, Belgian Health Qigong Association and International Health Qigong Federation!